Many patients believe before weight loss surgery that they won’t be able to eat many of the foods they are accustomed to. While food choices need to improve there really isn’t a whole lot of food that patients can not physically eat. Here are 12 problematic foods after weight loss surgery that are common among patients. Every patient is different. 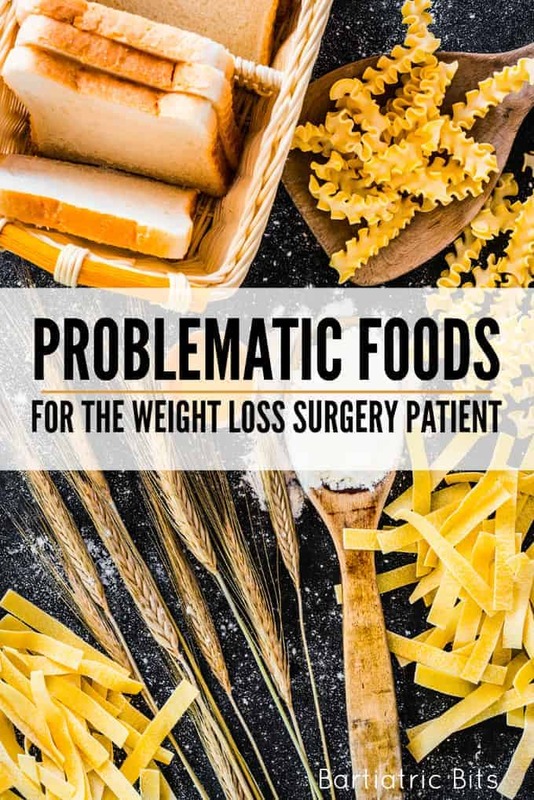 In 10 years I have seen patients who could tolerate all foods quickly after their surgery and then patients who years later still had to avoid a select few foods. The first year is really when most patients have difficulty tolerating a number of foods. Usually, after a year tolerance improves for many patients and their eating becomes more normal and more inclusive. I have put together a list of 12 foods/food groups that give patients that are the most problematic. By problematic I generally mean intolerance. What does intolerance mean? Intolerance, in general, is a physical reaction or discomfort that patients experience when they eat these foods. While most of the foods/food groups on this list may cause some of the above symptoms others are there because they affect patients progress by adding extra and unnecessary calories. Bread: doughy bread like rolls and sliced sandwich bread are sticky and too heavy for the small stomach. Pasta: like bread, pasta is sticky and can fill up a small pouch quickly. Rice: regardless of whether the rice is white or brown all rice causes the same issues as pasta and bread. Oatmeal: in early stages, oatmeal can be heavy and very filling. I generally recommend waiting until about 5-6 weeks to try oatmeal. Fruits and vegetables with tough skins: fruit/veggies like apples and cucumbers have hard, very fibrous outer skins. These fibrous skins should normally be part of a healthy diet, but bariatric patients can have difficulty tolerating anything that is difficult to completely chew. Tough meats: these foods are difficult to chew sufficiently after surgery. Grilled meats: anytime you grill food you are making the outer surface harder, which may result in patients having difficulty chewing. Desserts: high fat, high sugar foods not only add extra calories they may also lead to dumping syndrome in certain patients. Sugary Drinks: like desserts, sugary drinks provide unnecessary calories that may hinder weight loss or result in weight gain. Again, dumping syndrome may occur in certain patients. Alcohol: surgeons often have different recommendations regarding alcohol consumption. In gastric bypass patients, there is a higher risk of ulcer development in patients who consume alcohol. Regardless though for any patients alcohol provides empty calories. High-fat foods: some patients will experience dumping from consuming higher fat foods such as fried food, desserts, butter, and high-fat dairy products. Fat provides twice the amount of calories per gram than that of carbohydrates and protein, so consuming high-fat foods on a regular basis will result in the consumption of excess calories that will affect weight loss long-term. Snack food: “junk” food like chips, cookies, candy etc are really easy to eat after surgery. Any food that crumbles or melts will not take about a lot of space in your stomach. 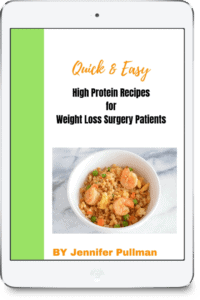 Many patients think that portion sizes of all foods will be decreased after weight loss surgery, however, the density of the food is what will determine the portion size and level of satiety. So, a patient can consume large amounts of these foods. Like many of the foods mentioned already, snack foods will cause an increased intake of calories that will result in slower weight loss, weight plateaus, or weight gain. Weight loss surgery patients have limited real estate. There is only so much food you can fit into your smaller stomach. Choose wisely!! Jennifer is a Registered Dietitian/Nutritionist. She is the author and founder of Bariatric Bits and Nourished Simply. Jen has been a bariatric dietitian since 2007. She enjoys writing about nutrition and healthy eating. This website is for general information purposes and does not offer medical advice. Always consult your physician and surgical team for medical information. 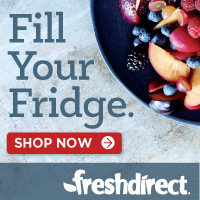 I cant eat any meat it gives me that stuck feeling which i have been diagnosed with esophageal dysmotility…so i have to stick to soft grind up foods…..
Join the Bariatric Bits Community & receive our newsletter plus free post-operative menus. You have successfully joined our subscriber list. Your menus are on the way! Check your email. Use the code holiday to purchase the book for only $10 through 1/2/19!